Since 1973, when Egon Bockholt finished his BR 86, Bockholt's locomotives stand for unbelievable quality and an eye for details. Looking back on Bockholt locomotives from 1973 till today; it's a journey through the history of Railways. 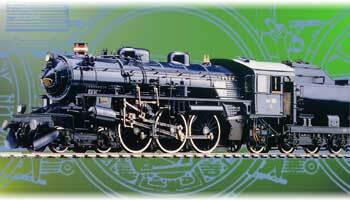 Like others, our workshop began with the manufacture of steam locos. With their enormous number of details, they are a challenge for every manufacturer of models. For good reason, they are in the focus of our work. They are a symbol for reliability far away from any overhead cable. That's true for our Diesel locos as well; they are supplied with power invisible through the driving tracks. Power and easy handling, that was the main benefit of e-locos. But nevertheless you would never call our e-locos easy. They give the locomotive a job. In real life as in the model. • models.pdf (14,80 MB) – All the models we made.